Whether you’re moving to a smaller property that doesn’t have space for all your furniture, renting for a short time while you find a new home, or doing renovations and you need to move out temporarily, there are many good reasons for using self-storage. Here are some of the key things to consider when choosing a self-storage company. During the process you might find you need to get rid of items and declutter. Consider giving items to charity, or if they’re valuable sell using online auction sites. Equally if you would just like to dispose of it safely and responsibly take a look our partner’s household rubbish removal service. AnyJunk send two crew members to clear junk or bulky waste from anywhere on your property. They can arrange same day collection in most cities and on average 95% is diverted from landfill. 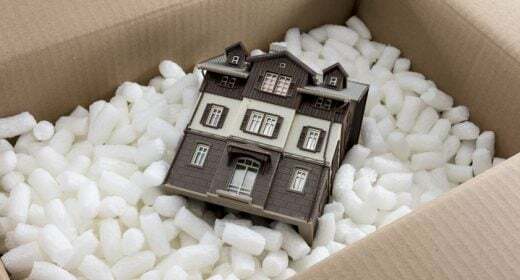 Decide if you’re going to transfer your contents to storage yourself or use a removal company. If you’re going to use a removal company, they’ll usually send a surveyor around to check which sized vehicle you’ll need. If you intend to do it yourself, make sure you get the correct-sized van. If the trip is a local one, it may be cheaper to rent a smaller van and make several trips. If the journey is a long one, you may be better making one trip, to save time, and save money on fuel.